Transform your dining area with the beautiful collision of classic style with contemporary materials, in our Nairobi Dining Side Chair in bold, beautiful black. 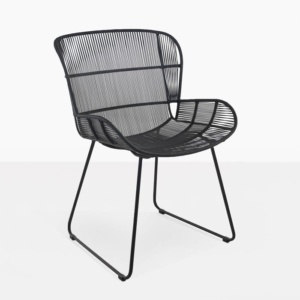 The Nairobi Chair holds a cultured regality, with elegant curved edges, rounded seat and refined wicker, this is a chair that is so simply stylish, that it suits many different tables and settings! Place several of these urban chairs around one of our stylish Concrete Tables for a contemporary, edgy and sophisticated look. Place a black cantilever such as the Kingston overhead to maximise your outdoor time, and get ready to indulge in luxury that you deserve! 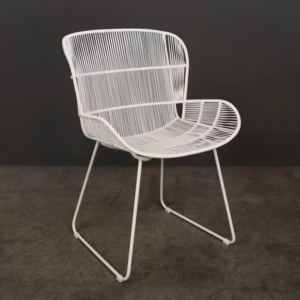 Imagine 8 of these beautiful Nairobi Side Chairs around a large a – grade teak Pedestal tables in the midst of your garden. A homage to classic, country living but with materials that will see you in elegant comfort for years and years to come. Don’t think that Nairobi is purely for outdoors! The gorgeous Dining Side is a tremendous choice for around your family dining table, adding a crispness you may not find with other indoor chairs. 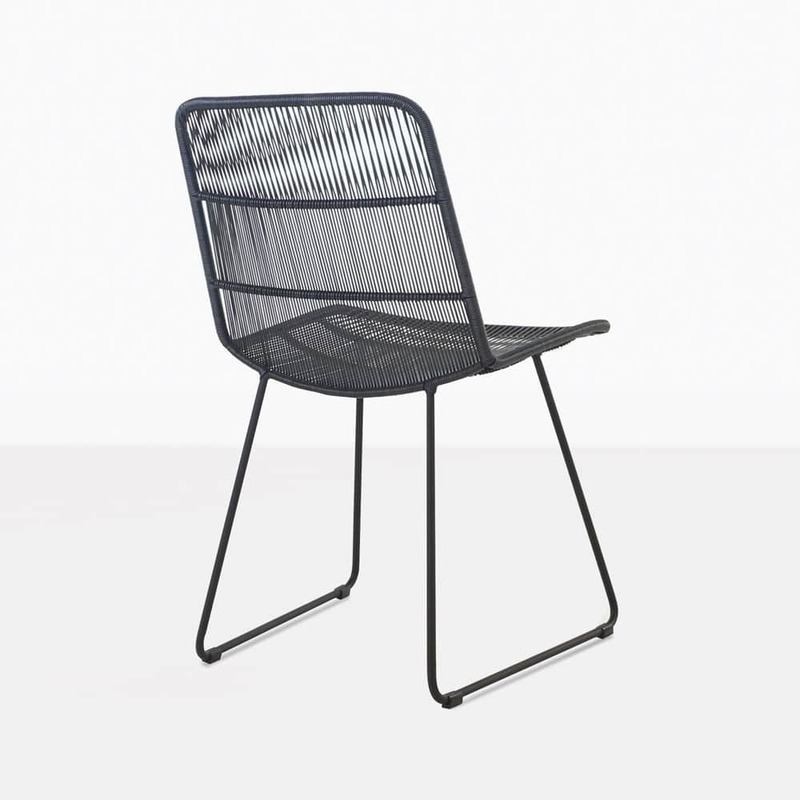 The Nairobi Side Dining Chair is made out of excellent materials. 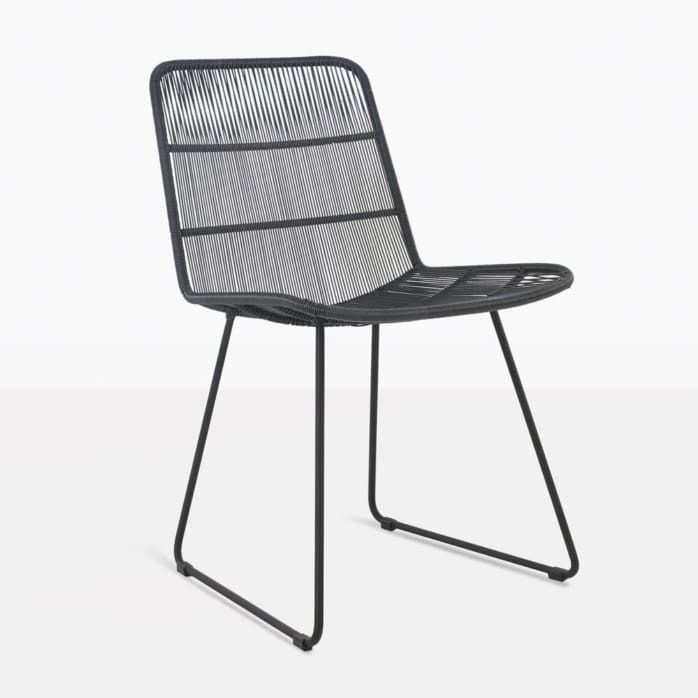 Beginning with a powder coated steel frame, and woven with UV treated, through dyed wicker that enables you to relax into a comfortable chair. 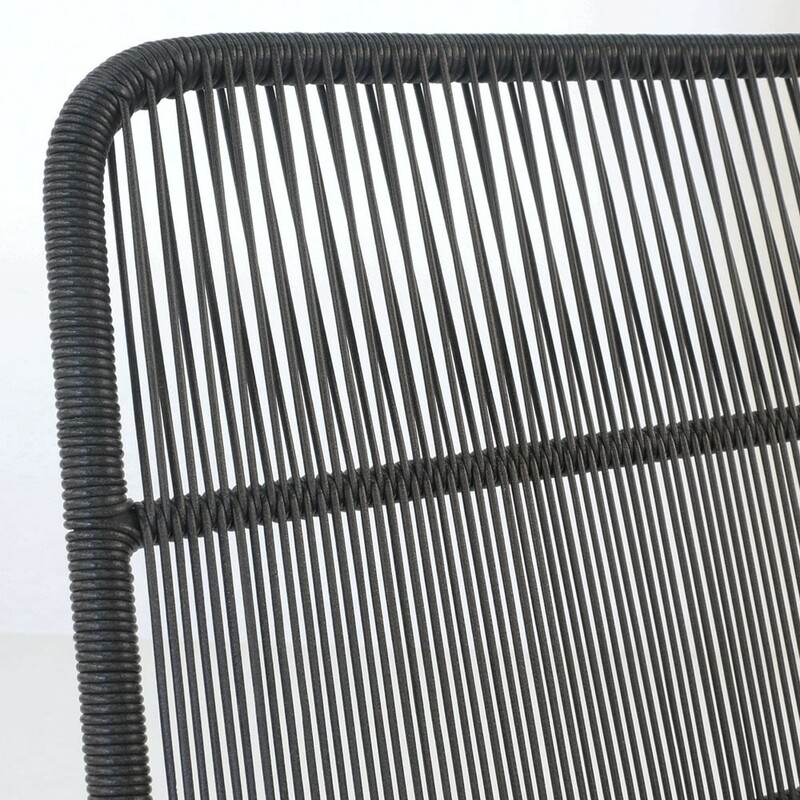 Our wicker is the best out there! 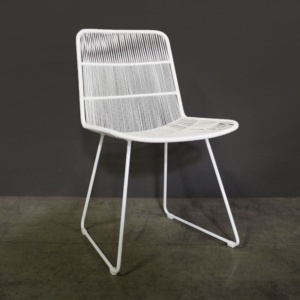 This Nairobi Side Dining Chair is available in white as well as black, and comes in a relaxing chair style… in short Nairobi enables you to be relaxed and present in a calm, chic setting that you have curated. 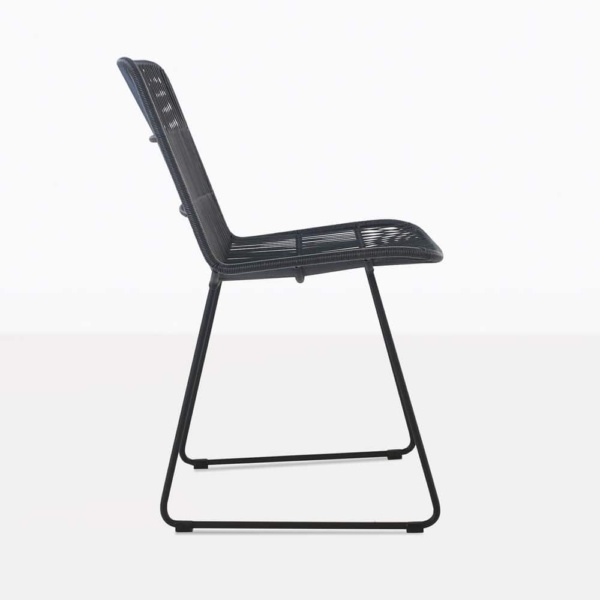 To order your Nairobi Dining Chair in Black, call us today! Our sales staff are all too happy to provide you with everything you need to begin creating a stunning outdoor living area!